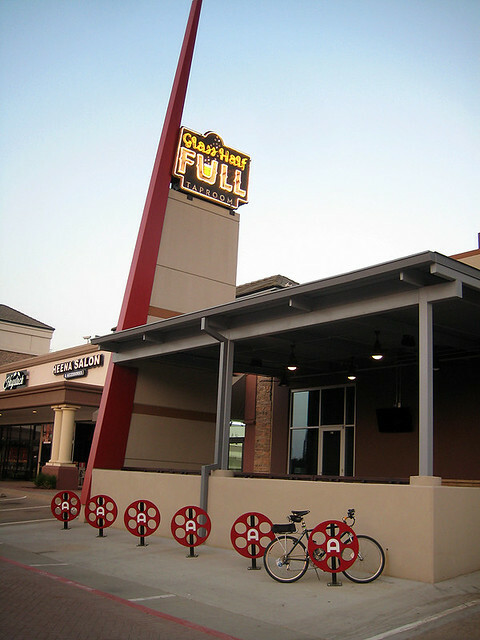 A couple of new businesses have opened near me, and both have really cool rack systems for bike parking. 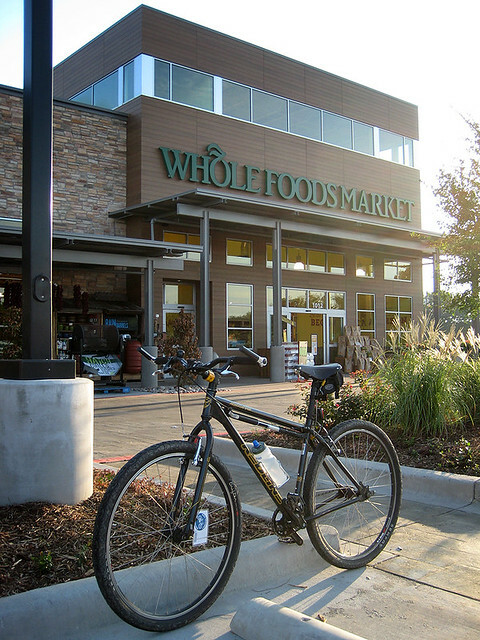 The first is Whole Foods in Addison. Although it’s bittersweet that they closed the store that was closer to me, their new store in Addison is pretty impressive. 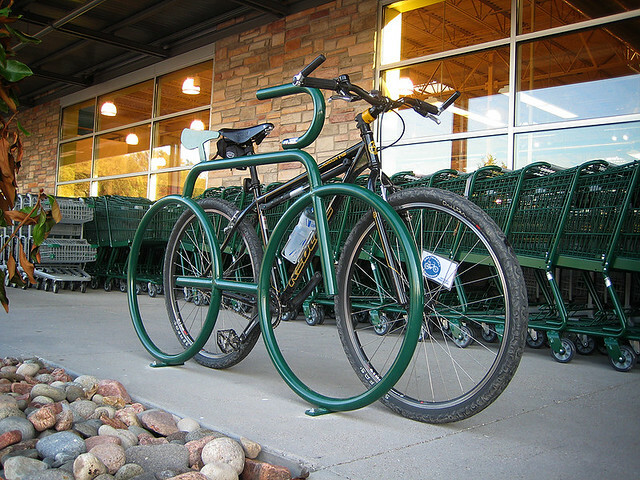 What makes it even more impressive is their cool bike racks that are in the shape of bicycles. 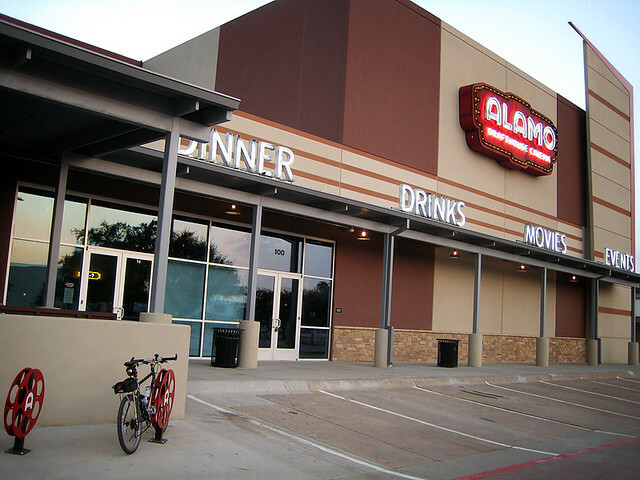 The next business is the new Alamo Drafthouse Cinema in Richardson. 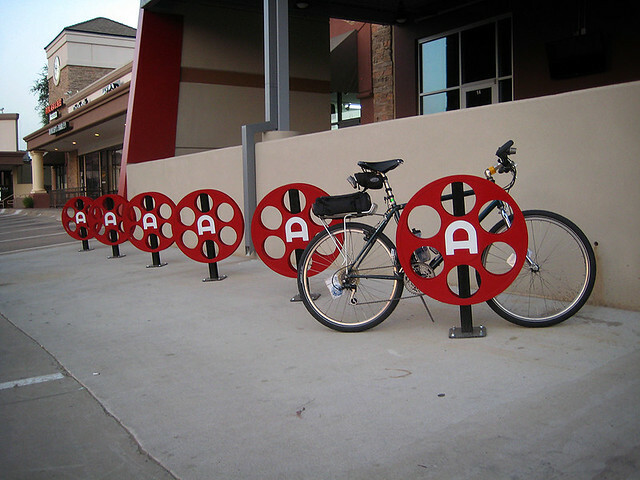 Not only has this become one of the hottest destinations in town, it also has an amazing lineup of bike racks that are in the shape of film reels. 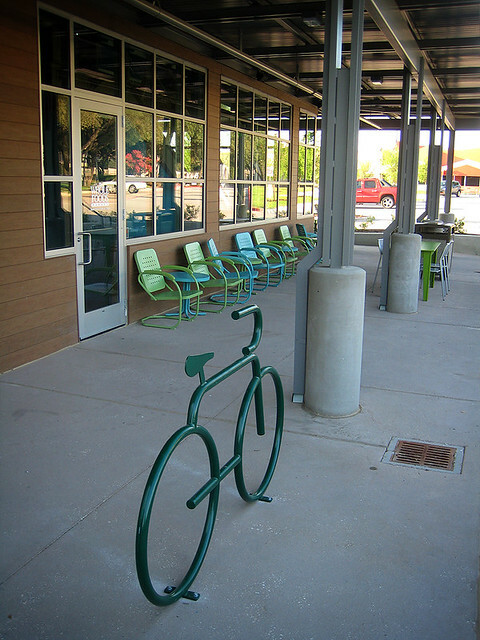 I love the bike racks shaped like bicycles. They have several of these at Good Shepard Episcopal School in Dallas. I can upload some photos to the Flicker group.